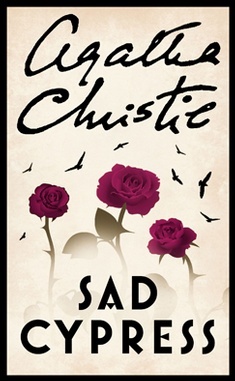 Only the second of Christie’s Poirot novels that I’ve read, Sad Cypress follows the story of Elinor Carlisle, who stands accused of murdering her ailing aunt. This is the first Christie novel I’ve encountered that happens in three parts, but the novel flows very well all the same. The first part finds the reader hearing an account of the death of Laura Welman (Elinor Carlisle’s aunt). The second part focuses on Poirot’s investigation. The third and final part takes place in the courtroom, where Elinor is being tried. Sad Cypress opens with engaged couple (and cousins) Elinor Carlisle and Roddy Welman as the recipients of a mysterious letter which warns them that a suspect is taking advantage of Elinor’s rich aunt, Laura Welman (from whom Elinor is set to receive a fortune when Aunt Laura dies). Elinor suspects Mary Gerrard, the daughter of the lodge keeper where Aunt Laura is living, of taking advantage so she can inherit some of the fortune from Laura. Needless to say, the letter inspires a visit to Aunt Laura. Laura Welman is in a weakened state after suffering a stroke, and her physician Peter Lord insists that she is ready to die. While Elinor and Roddy are visiting, Laura suffers another stroke, and Laura asks Elinor to have her lawyer prepare a will, to make it clear that Mary is her beneficiary. Shocked and jealous, Elinor discovers that Roddy has fallen in love with Mary. That night, Aunt Laura dies (before the new will is prepared), and Elinor inherits Laura’s entire estate as she is known to be Laura’s sole surviving relative. After Aunt Laura’s death, Elinor and Roddy call off the engagement, and Elinor offers him money, as well as Mary. Roddy refuses the gesture, but Mary takes the money. Elinor has Mary and the nurse over for tea, where Mary is poisoned by a fish-paste sandwich. It is after this that Elinor is suspected of murdering Mary (for obvious reasons), and put on trial. Aunt Laura’s body is exhumed, and after some testing, it is revealed that both Laura Welman and Mary Gerrard died of morphine poisoning. Evidently, during a visit to her Aunt, Elinor was granted easy access to the drug through the nurse’s handbag (and it happens that some went missing from Nurse Hopkins’s bag). In part two of the novel, Poirot enters the scene to investigate, after being convinced by Peter Lord that Elinor is innocent. Peter is madly in love with Elinor and wants Poirot to acquit her. Poirot focuses in and uncovers some interesting truths. 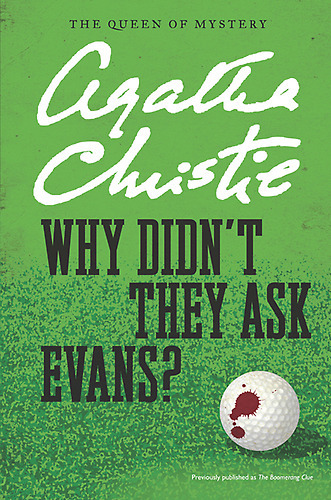 This leads up to the third part in the book, where Elinor’s defence seems to be failing, until Poirot comes to the rescue. Poirot’s investigation reveals that Nurse Hopkins poisoned the tea that fateful day when Mary died, but that Nurse Hopkins was not affected as she injected herself with an emetic to reject the morphine in her body. Poirot also reveals that Mary Gerrard is not in fact a Gerrard at all – she was the illegitimate daughter of Laura Welman and a Sir Lewis Rycroft. If she had lived, she would’ve inherited Laura’s fortune. Nurse Hopkins knew this, and encouraged Mary to write up a will, leaving her distant aunt in New Zealand as the beneficiary. As it turns out, Mary’s distant aunt (who she believed was in New Zealand, was actually Nurse Hopkins. When called to the witness stand, Nurse Hopkins has already left the court room. 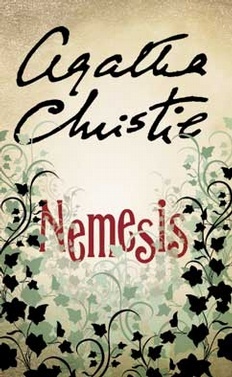 The book closes with Poirot chastising Peter Lord for planting evidence (in an attempt to clear Elinor’s name). Poirot encourages Lord to pursue Elinor, as she actually shares the same feelings. 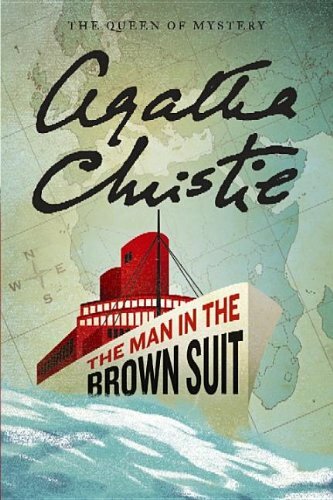 The Man in the Brown Suit was Agatha Christie’s fourth novel, and it is an absolute adventure, from the first page to the very end. It all starts with a secret agent named “Nadina”, who has stolen some De Beers diamonds, “keeping” them from a heist performed years before. Then the reader is introduced to newly orphaned Anne Beddingfield, who moves to London to live with her father’s former solicitor and his wife (aka for the chance of adventure). While at the Hyde Park tube station, Anne witnesses a man falling onto the track (he dies). A doctor in the crowd examines the man and pronounces him dead. When the man leaves, he drops a note, which Anne promptly picks up and pockets. The note reads “17.1 22 Kilmorden Castle”. Anne keeps the note. The dead man’s death (his name as “L B Carton”) is ruled accidental, and he had in his pocket a real estate agent’s information on a house for let in Marlow. The very next day after the incident, Anne reads in the newspaper that a dead woman has been found at the Mill House in Marlow. Furthermore, the Mill House in Marlow is owned by an MP, Sir Eustace Pedler. The woman’s murderer is a suspect known to be wearing a brown suit. Anne puts two and two together and realizes that it was not a “doctor” that examined the man from the tracks. Anne takes matters into her own hands and goes to the Mill House to investigate, where she picks up a canister of undeveloped film. She discovers that Kilmorden Castle is actually a ship sailing on January 17 1922 from Southampton to Cape Town. Anne books a room, and once on board she meets a whole cast of characters, including Suzanne Blair, Colonel Race [Race also appears in other Christie novels], Reverend Chichester, and Sir Eustace Pedler (the MP who owns the Mill House in Marlow). Pedler has two employees also on board: Guy Pagett, and a man named Harry Rayburn. After a mishap with getting the right cabin, the evening of the 22nd, a man gains entrance into Anne’s cabin. Anne realizes that the man has been stabbed, tries to help his wounds, and he in turn is curt toward her. They have a row, and the man leaves her cabin. Several nights later, Anne is spending time with her acquaintances, and Colonel Race tells the tale of a diamond theft (about a hundred thousand pounds worth) several years earlier. Supposedly, the theft was championed by John Eardsley (the son of a South African gold magnate) and his best friend Harry Lucas. 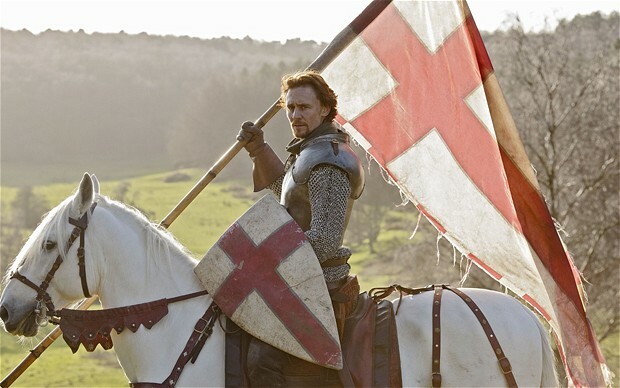 The two were eventually arrested, and Eardsley’s father Sir Laurence, disowned his son. 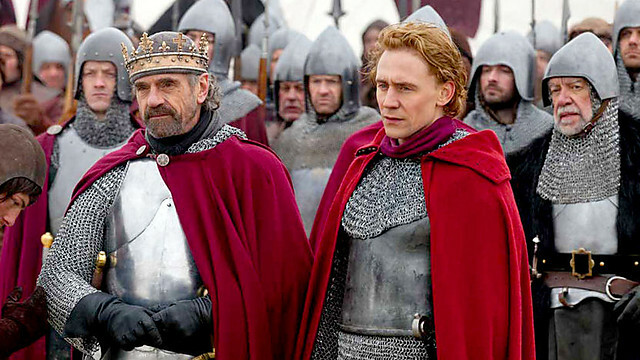 Later, Eardsley was killed in the war, and his father’s fortune was passed to his next of kin. Lucas was MIA. While Race is recounting the tale, Harry Rayburn enters the cabin, hears the story, acts strangely, and then leaves. Race then reveals that he is actually the next of kin. Anne becomes close to Suzanne and reveals to her the steps that have brought her aboard the Kilmorden Castle. The two quickly deduce that the piece of paper with the mysterious message could actually be referring to the very cabin where Anne is staying (cabin 71). They also realize that this cabin was earlier booked for a “Mrs. Grey” — one of Nadina the Russian dancer’s pseudonyms. Anne and Suzanne figure out that Nadina was likely the body found at the Mill House. They also found diamonds inside the photo canister (which was dropped in Suzanne’s cabin on the 22nd), and conclude that it is likely that Harry Rayburn could be the “man in the brown suit”. When Anne is attacked on the deck of the ship, and Harry Rayburn comes to her rescue and saves her. After the rescue, she proposes that Rayburn is actually “Harry Lucas”, to which he vehemently disagrees, and the two go their separate ways, once again on bad terms. After arriving in Cape Town, Anne finds herself lured to a home in Muizenberg, where a bearded Dutchman imprisons her. She recognizes the voice of another person at Muizenberg, the Reverend Chichester, talking with the Dutchman about the Colonel. The next day, Anne escapes and goes back to Cape Town, where she discovers that Harry Rayburn has gone missing. When Eustace Pedler asks Anne to come on as his secretary for his trip to Rhodesia, she accepts, and once they board the train, she is reunited with Colonel Race, Suzanne, and Pedler. Anne meets Pedler’s new secretary, Miss Pettigrew. Once in Bulawayo, Harry sends Anne a note, and she follows the trail by the hotel to meet him. She is chased by someone not Harry, and she falls into the ravine. She awakes in a hut on an island in the Zambezi, about a month after falling into the ravine. Harry Rayburn rescued her again, and reveals to her that someone caused her to fall. Spending time together, Anne and Harry fall in love, and Harry confides in her the his true identity of being Harry Lucas, and the diamond discovery he made with his best friend John Eardsley years ago. The two were caught up with a woman going by the name of “Anita Grünberg”, who stole their real diamonds and substituted fake ones. In the war, when Harry was listed as MIA, he came to Africa under a new name, Harry Parker. Harry realized that Anita was working with a man named Carton (the dead man from the tube). Harry explains to Anne that Carton actually killed Nadina at the Mill House (Harry had followed them there). Harry also suspected that the diamonds ended up on the ship, which Anne confirms (these were in the canister that was dropped in Suzanne’s cabin on the 22nd). That night, the Dutchman and his crew attack Harry’s island. Harry and Anne escape, create a “code” for future communications so neither is deceived again, and Anne returns to Pedler, and her friend Suzanne. Sir Eustace is traveling ahead, and Anne finds out that diamonds are somewhere in his luggage. She also receives a telegram from “Harry” asking her to meet him. She ends up running into Chichester (who actually turns out has been acting as Pedler’s secretary, Miss Pettigrew). It is revealed that Sir Eustace is the Colonel, and he takes Anne hostage, forcing Anne to write to Harry to lure him to his office. Anne writes the note, but does not include the “code”. Once Harry arrives, Pedler thinks he’s captured them both, but Anne pulls out a pistol and she and Harry turn the tables on him. Race eventually turns up to help, but somehow Pedler escapes. Race reveals that Harry is actually not Harry Lucas, but John Eardsley. 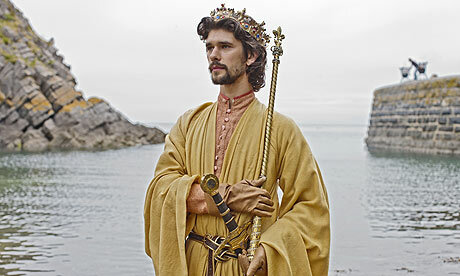 John is the true heir to the fortune (which Race earlier claimed to be). Anne and Harry marry, and move to his island in the Zambezi. 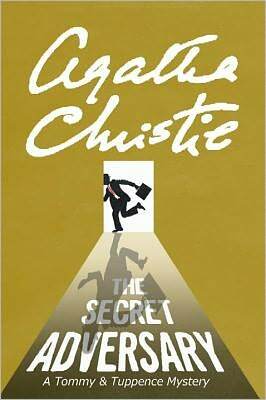 The Man in the Brown Suit is one of my favourite Agatha Christie novels, undisputed. More than a mystery, the Man in the Brown Suit is actually more a story of adventure. There are no lulls or boring points in this book; it is all action-packed and filled with details. Christie calculated every character, every move, every last facet of the book so that the reader has to pay close attention. This novel is a stimulating brain-teaser, but it still reads incredibly well, to the very last sentence. An unlikely duo, Anne and Harry are refreshingly different than any of Christie’s other protagonists. Why Didn’t They Ask Evans? was an absolute delight to read. As a standalone novel (i.e. not a Hercule Poirot, Miss Marple, or Tommy & Tuppence book), this book includes all of the essential elements for a proper thriller: Danger, excitement, mystery, intrigue, and yes, even a little romance. Centring around Bobby Jones, the son of a vicar in Marchbolt, Why Didn’t They Ask Evans? starts off on the green, where Bobby is golfing with a friend, and chips the ball over a cliff. Bobby subsequently finds a body below, and stays with the dying man while his friend runs off for help. Between finding a photo of a lovely woman in the stranger’s pocket, and the dying man’s last words of “Why didn’t they ask Evans?”, Bobby becomes engrossed in an investigation. He has to leave the body so he won’t be late for a service at his father’s church, and a man passing by who introduces himself as “Roger Bassington-ffrench” offers to stay with the corpse. A woman named Amelia Cayman steps forward to identify the dead man from off the cliff as Alex Pritchard, and Cayman is apparently the woman in the photograph which Bobby found in the dead man’s pocket. Bobby is perplexed how the woman from the photo could have aged into such an unattractive older woman. Cayman and her husband inquire as to whether Pritchard had any last words, to which Bobby replies that he did not. Later, Bobby recants and shares with the Caymans that Pritchard asked “why didn’t they ask Evans?” The Caymans thank him and he thinks it will be left at that. Bobby’s friend Frankie (Lady Frances Derwent) begins to suspect something sinister is happening when Bobby falls ill after being drugged from drinking a bottle of beer. After examination, the police conclude it was indeed poisoning, and Frankie believes that Bobby is being targeted possibly in relation to the dead man from the cliff. Bobby also believes this after he sees in his local paper the alleged photograph found in the dead man’s pocket (it’s different from the actual photograph which Bobby himself found). Bobby and Frankie conclude that a. Amelia Cayman was likely no relation to the dead man, and b. Bassington-ffrench must have switched out the photo after Bobby left the scene, so they set out to find him and discover why. Eventually Bobby and Frankie trace Bassington-ffrench to his brother and sister-in-law’s house called Merroway Court. Frankie develops a dramatic scheme to stage a car accident outside the house so they can fake injury and get inside. Frankie’s plan succeeds, and she subsequently introduces herself and befriends Bassington-ffrench’s sister-in-law, Sylvia. After showing Sylvia a clipping from the newspaper with the dead man’s photo, Sylvia declares that the man actually looks like someone named Alan Carstairs, who was a big-game hunter and friend of a local millionaire named John Savage who had killed himself after discovering he had terminal cancer. Through Sylvia, Frankie is introduced to Dr. Nicholson and his wife Moira, who run the local sanatorium. Bobby investigates the hospital on Frankie’s advice, and he also meets Moira, but under strange circumstances as he’s lurking around the sanatorium in the middle of the night. Bobby realizes that Moira is actually the very girl from the real photograph he found in the dead man’s pocket. Later, Bobby and Frankie meet up with Moira (who has confided in Bobby that she thinks her husband Dr. Nicholson is trying to kill her). Moira admits knowing Alan Carstairs from her past, and tells Bobby and Frankie to talk to her brother-in-law and just ask him if he really switched out the photo from the dead man. Frankie does, and Roger explains that he was trying to avoid any scandal for the family, but also tells Frankie that he didn’t replace the photo with that of Mrs. Cayman. Frankie visits her solicitor trying to get more information about the case, and learns from her lawyer that Alan Carstairs had visited him as well, and that apparently Carstairs was suspicious that John Savage’s will had been tampered with, and that the people Savage was staying with when he committed suicide had taken Savage’s money and went abroad. Frankie then finds out that Bobby has been kidnapped, and when she is lured to the place he’s being held, Frankie is also taken captive — by Roger Bassington-ffrench. Eventually, Bobby and Frankie (along with the help of their friend), escape, but not before discovering Moira, who was been drugged. Bobby and Frankie follow the trail to find the witnesses present when John Savage signed his will, and it turns out that the Templetons are actually the Caymans. Their maid, Gladys (who’s maiden name was Evans) was not asked to witness the will signing. Hence Carstairs asking on his deathbed “why didn’t they ask Evans?” As it turns out, Savage had already been dead, and Roger Bassington-ffrench took his place on Savage’s “death-bed” to forge the will and leave everything to the Templetons. Ironically, Bobby and Frankie discover that Gladys Evans is now the housekeeper at Bobby’s father’s vicarage, and that she was the reason for Carstairs coming to Wales in the first place. Later, they come across Moira, who tries to claim that Roger is now after her, but Frankie quickly deduces that Moira was Roger’s co-conspirator and the one who earlier had tried to kill Bobby. Moira tries then to shoot Bobby and Frankie, but they overpower her. At the end of the novel, Roger Bassington-ffrench sends Frankie a letter from his hideout in South America, confessing to his part in the crimes. Bobby and Frankie revel in their solving the case (even though Roger escaped), and Bobby and Frankie become engaged. Full of twists and turns in the plot, Why Didn’t They Ask Evans? is classic Christie. Christie so wittingly makes references to actual historical truths (like the fact that Bobby Jones was the name of one of America’s first famous golfers, but within the first pages of the book, she explains that the real Bobby Jones is in fact not the man of the same name who appears in the book). The book is full of intricate details, but so lightly woven together that it really reads seamlessly, and doesn’t leave the reader wondering or reviewing to reach the final conclusion. Bobby and Frankie remind me of Christie’s other pair of detectives, Tommy and Tuppence. 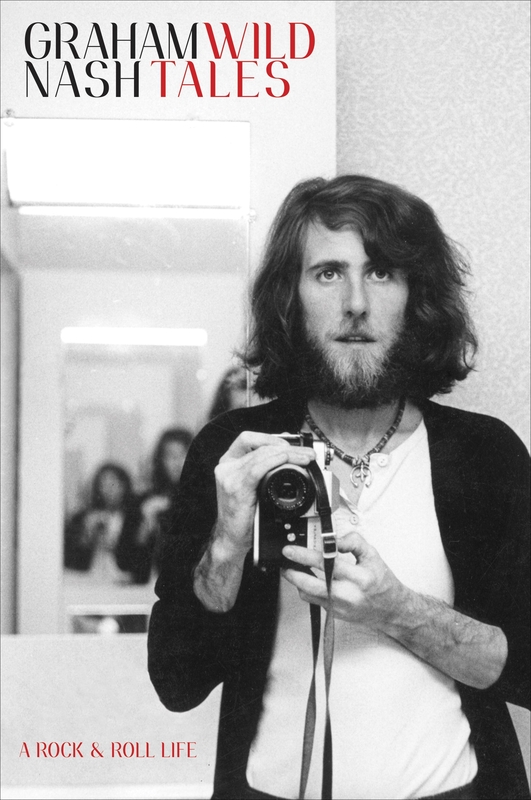 As a young boy, Graham Nash loved going to church. He sang in the choir, and even from a young age, it was “all about the music” as he puts it. He also used to sing the Lord’s Prayer every day in school. And he idolized the Everly Brothers. Guess you learn something new everyday. And that’s just within the first few pages of his autobiography, Wild Tales: A Rock & Roll Life. I’ve never been an avid Graham Nash admirer; no, as most of you are aware, I’ve always been more fond of Neil Young. That being said, I have long been appreciative of Nash’s artistic abilities and curious about his story, and I’m sure that Wild Tales only scratches the surface. Graham Nash had humble beginnings in post-war England (which he testifies left an indelible mark on his mind and shaped his opinionated and outspoken political views), and it was the memory of his father and his mother that pushed him to live for and to do more. Which he did. After his career was launched with the Hollies, Nash went on to cross paths and perform with some of the greatest names in rock and roll, several of which he considered personal friends: Paul McCartney, John Lennon, Jimi Hendrix, the Everly Brothers, Mick Jagger, David Crosby, Neil Young, Joni Mitchell… you get the point. Nash is quite open about his circle of “friends”, and Wild Tales features no shortage of anecdotes about said friends. From the Hollies to CSN (and even CSNY), Nash divulges details that rock lovers are sure to soak up. He criticizes Neil Young for being “utterly self-centered” when, ironically, it’s Nash who comes across throughout the book as being egotistical and over-confident, what with his no-big-deal-just-naming-names attitude. It’s not until his poignant recollection of intimate, life-altering relationships with Cass Elliot, David Crosby, and Joni Mitchell that Nash’s heart begins to show through. As he bounces back and forth from childhood to his life in America as a young man, Graham Nash weaves a tale that’s anything but average. “Rock stars”, as we label certain celebrities, live in a different world. It’s as though their every experience is extraordinary — for Nash, thanks due in part to heavy substance use, — and they always seem to have some kind of heightened sense of reality. With the help of his wife and the birth of his three children, it would appear that Nash eventually comes to the realization that a rock and roll life isn’t always what it seems (albeit in a part-cool-part-caution way). Even as Nash ages, one thing that never grows old is his passion for music, and his love of art and photography. For me, it’s the pages in this book where Nash opens up and expresses his more vulnerable side about exploring his talents, developing his own processes for song-writing, and augmenting his artistic abilities, that truly inspires and makes Wild Tales worth the read. Neil Young’s Waging Heavy Peace opens on his Broken Arrow Ranch in California, where he’s opening a gift from wife Pegi and daughter Amber. It’s a locomotive switcher with Lionel markings. For the reader, this could be a “huh?” moment, but as Neil explains, he was just really starting to get back into one of his favourite pastimes, trains, when his son Ben was born. And so the story begins, Neil embarking on his first entry to Waging Heavy Peace, strolling down memory lane to various parts of his past, including details about his relationships with his CSNY and Crazy Horse bandmates, his wife Pegi and his two sons, details of his extensive car collections, his PureTone start-up venture, and so on. Neil even candidly discusses the fact that he’s stopped smoking and drinking, and how at “the straightest I have ever been since I was eighteen”, he’s curious to see how his song-writing abilities will be affected. Neil navigates back and forth from his past adventures to present-day times, whether he’s sharing melancholic memories of his Dad and his Mom, or presently checking out some of his car collection in the barn at his California ranch. It’s not all really serious, heavy subject matter with Neil. He’s a true hippie, using his musings in Waging Heavy Peace to “slow down”, and his child-like candidness to weave together a web of real-life anecdotes into an entertaining and inspiring life story. Nothing like laying it all out there. This whole memoir is an experiment of types. And that experiment is what makes Waging Heavy Peace so very, truly Neil. It’s not your typical autobiography, and the fact that each chapter reads more like a blog entry is precisely what makes this such a pleasant piece of work. This book presents Neil Young more as a human than an artist, and his journal-like prose provides readers with a real insider’s view to where he’s been and how that’s directly affecting where he’s at today. If you’re looking for an orderly, chronological account of Neil’s life and times and works, this book is not for you. 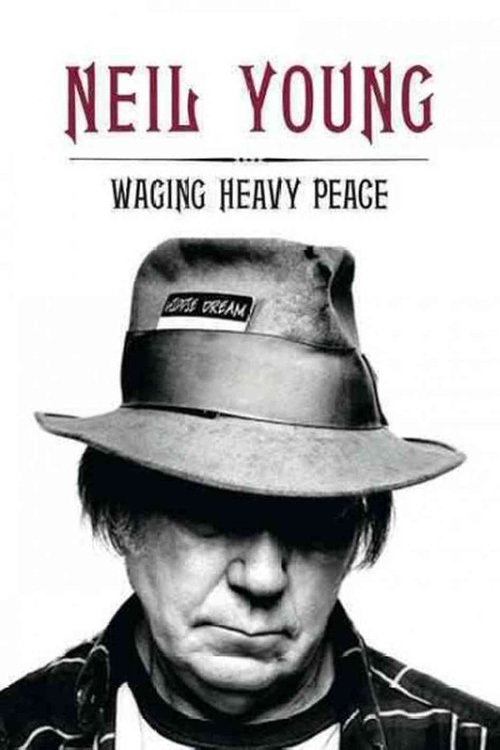 No, Waging Heavy Peace is more like a gift for the Neil fan who’s interested in Neil as the person, the family man, and the individual. Now, if only I could get a ride in Lincvolt or be a real-life tester for his PureTone audio system [rebranded to Pono since his book was published].